Save on your next flight from SDY to RST when you book through Travelocity. Need a last-minute flight to Rochester? Travelocity offers discount airfare no matter when you book, even on popular routes such as Sidney-Richland Municipal Airport to Rochester Intl. Airport. Whether you need a direct or indirect flight, you can trust Travelocity to provide you with the best prices for SDY to RST flights. Situated in Rochester, this hotel is within 9 mi (15 km) of Olmsted County Fairgrounds, Mayo Clinic, and Mayo Civic Center. Saint Marys Hospital and Maple Valley Golf & Country Club are also within 9 mi (15 km). Located near the airport, this family-friendly hotel is within 6 mi (10 km) of Olmsted County Fairgrounds, Mayo Civic Center, and Rochester Civic Theater. Mayo Clinic and Apache Mall are also within 6 mi (10 km). Situated in Rochester, this hotel is within 6 mi (10 km) of Olmsted County Fairgrounds, Mayo Clinic, and Mayo Civic Center. Saint Marys Hospital and Soldiers Field Veterans Memorial are also within 6 mi (10 km). Beautifully Fully Renovated Home Near Mayo Clinic With Everything you Need! 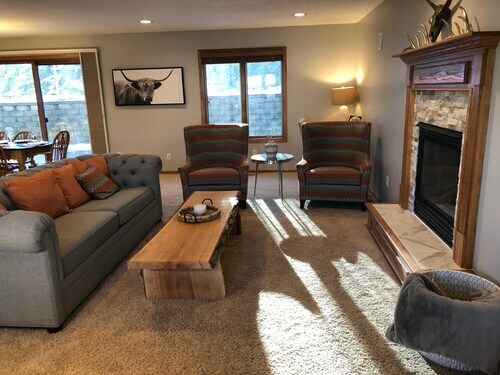 Situated in Rochester, this vacation home is within 9 mi (15 km) of Olmsted County Fairgrounds, Mayo Clinic, and Mayo Civic Center. Saint Marys Hospital and Apache Mall are also within 9 mi (15 km). See all 127 Properties in Rochester Intl.